This week’s Legends & Lore has stirred up quite a discussion. The overall concept behind Mr. Cook’s article is that rules should only appear when you need them. He uses damage resistance as an example. Damage resistance doesn’t typically appear too often in low level 4E play, but is very common (and important) in later tiers. It’s unclear exactly what Cook is suggesting, but the underlying implication is that more complex rules like damage resistance not be included in the core rule set, but rather in individual adventures, or perhaps something like a paragon-tier sourcebook. It seems most people are opposed to such a system. I find this quite surprising. Scores of articles and blog posts have been written about how to streamline 4E D&D so it runs more smoothly. It’s a mixed message; most people want to reduce the complexity of many of 4E’s systems, but they are opposed to Cook’s suggestion of a way to do just that. It doesn’t make much sense to me to hold both positions. Having a simpler set of core rules is of utmost importance for getting new players to become regular players. The Essentials Red Box did a fairly good job of this. 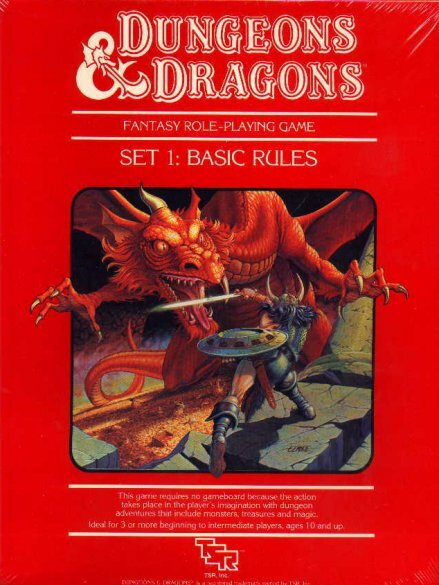 Not every rule or circumstance was presented in the box, in order to keep running your first D&D game as easy as possible. Fewer, simpler character classes and powers, with a small selection of easy to run monsters combined for a very user-friendly experience. It’s not a perfect set, by any means, but it does manage to get you up and running a D&D game fairly quickly. The next step in the Essentials Line was the Rules Compendium (or, alternately, the DM Kit). Here, a huge range of rules is presented, which is daunting enough. 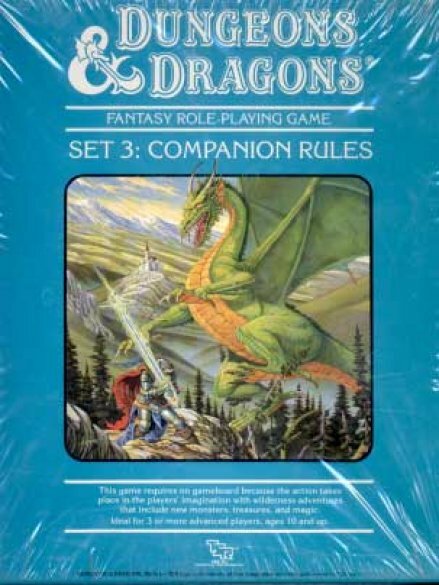 But compounding the issue is that you still need the Heroes books or a DDI subscription for perhaps the most important aspect of the rules: character creation. Don’t forget you will need the Monster Vault, too, to fill your adventures with foes. Each of these books has content from 1st to 30th level (though admittedly the latter levels are not as well supported). That’s a lot of material for someone to wade through. Do you see the problem here? The needs of a DM running a level 2 adventure are vastly different than one planning for level 9, 19, or 29. Clarity is lost due to the breadth of the material. There is so much to comprehend in these rule books, it’s daunting. Wouldn’t a method of delivering rules that gradually scales up in complexity as a campaign progresses be a better way? What would such a product line look like? In case you couldn’t tell from the title of this post, and the accompanying pictures, we’ve already seen a D&D product that broke the rules down into easy to digest chunks. The classic Basic/Expert/Companion/Masters sets from the 1980s did exactly that. Basic covered levels 1-3, Expert 4-14, Companion 15-25, and Masters 26-36. The Immortal set even let you go further, though it was largely a different game at that point. I’m pretty sure this is exactly what Mr. Cook is thinking about. I am strongly in favor of breaking the rules system down in this way. It’s a natural progression, one that can be easily mastered, if you’ll pardon the pun. I am a teacher in real life, and one of the most important parts of my job is making sure my students understand concepts I teach fully before moving on to new material. When I teach division, I have to make sure my students have an easy understanding of the concept of multiplication first, or else they will be hopelessly lost. It’s the same when learning a system as complex as D&D; you have to learn the basics before you add in any complications or additional options. Dont we need to make sure DMs learn to walk before we tell them how to run? In 4E D&D, even the Essentials line, after you are done with the Red Box, the entire ruleset is presented for you at once. There is very little guidance in how best to proceed. A modular system would be a better method for learning to play D&D. Complexity can be introduced gradually, with a flatter learning curve. 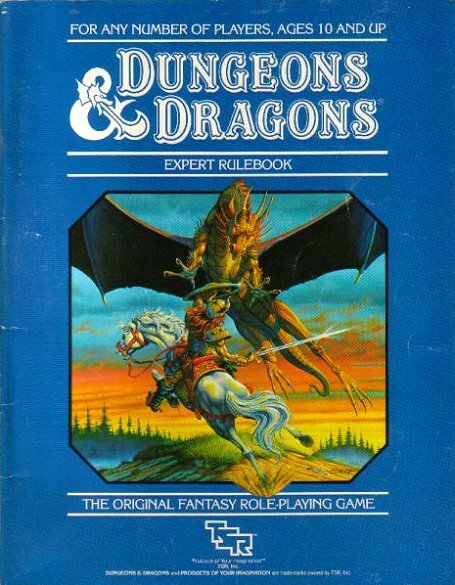 Maybe Mr. Cook had the old D&D boxed sets in mind when he wrote his article; perhaps not. 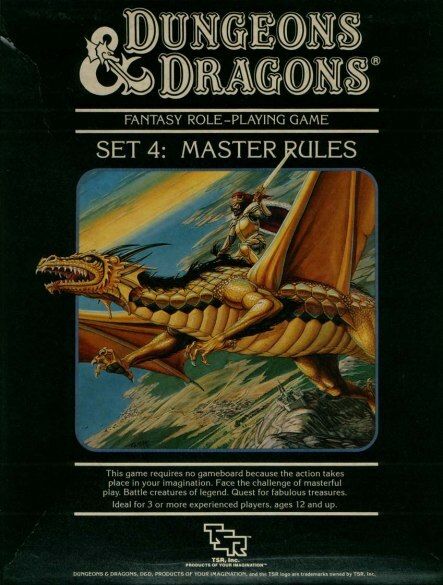 But these classic boxed sets presented the material in a way that was easy to understand, which is not exactly true of modern D&D. If 5th edition can fix this problem, it will become a better game as a result. Thanks to The Acaeum for the pictures. The reason I think this doesn’t work if because the fighter who uses the grappling shtick can’t happen if the grappling stuff doesn’t come in until level 11. By the same token, then, no races could have bonuses to abilities that don’t show up until later level, for instance the teifling couldn’t have fire resistance. I suppose you could have racial bonuses that scale with tier; the teifling gets Bloodhunt at level 1, fire resist at level 11, when that rule appears, and something else at level 21. This doesn’t solve the first problem, though. It would be tedious and a waste of ink to print the rules for grappling in every power that requires grappling prior to level 11.